If you enjoy this website and wish to link-to-us, please copy and paste the HTML below. If your site contains content that coincides with the interests of Easy-Everyday-Cooking-Recipes website, we will gladly include you in our Links Page or put in a link that comes off of one of our other recipe pages. Please copy and paste the following HTML code EXACTLY into your website on a relative page. If you place the link on a priority page, we will gladly reciprocate. 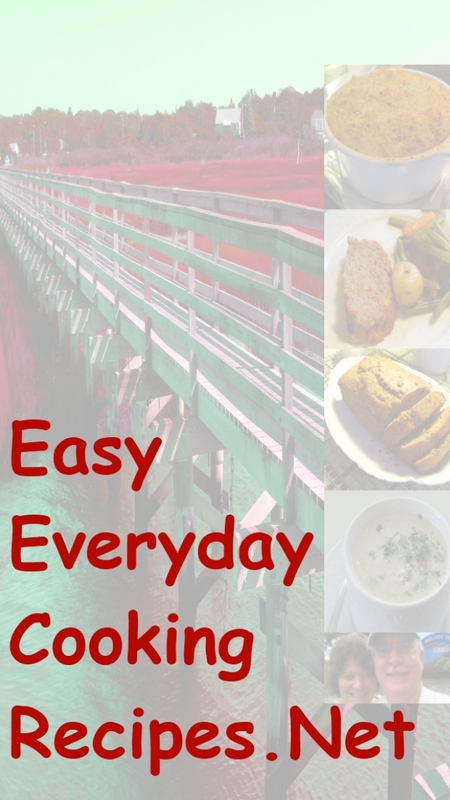 Easy Everyday Cooking Recipes – Welcome to our collection of wonderful cooking recipes from family and friends of Chris and John, including family ancestry, links for everyday living and naturally our blog about cooking and other topics of relevance. Easy Everyday Cooking – Welcome to our collection of wonderful cooking recipes from family and friends of Chris and John, including family ancestry, links for everyday living and naturally our blog about cooking and other topics of relevance. Your personal information will not be shared with anyone. We respect your privacy and e-mail address will only be used in our confidential correspondence with you. If you have any questions, please Contact Us.